Please help me get my transplant! My name is James Seegers. 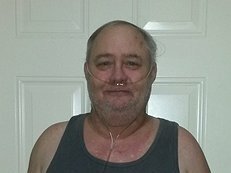 I’m 56 years old and am suffering from COPD, which is a crippling lung disease. I currently use oxygen 24/7, which is very debilitating as I cannot travel far from home. My lung capacity is down to 15 percent. My doctors tell me that my only hope for a return to a healthy life is a double lung transplant. I grew up in Carthage, Texas and have lived in many states. I’ve been married to my wife, Tammy for 18 years and between us, we have three sons. I worked as a boilermaker on power plants and then as a heavy equipment operator. But I haven’t been able to work since I’ve been so sick. Transplants are life-saving but very expensive. I have insurance but it only pays 80 percent of the surgery costs and I’m facing having to take anti-rejection medications for the rest of my life. In addition, I will need to relocate to stay near Baylor Medical Center for 3-4 months. So I need everyone’s help with this life saving operation. James, we are keeping you in our prayers. We all love you James! Sending love and prayers your way and hopefully one weekend soon I will be able to bring the kids up to see you! James you have always been a hard worker and a wonderful grandfather when you didn't have to be. My prayers are with you and Tammy. I love you both very much!!!!!!! I Love You too James!! Hopefully it won't be long now. Time to start workin toward that total!! Lots and lots of prayers coming your way.